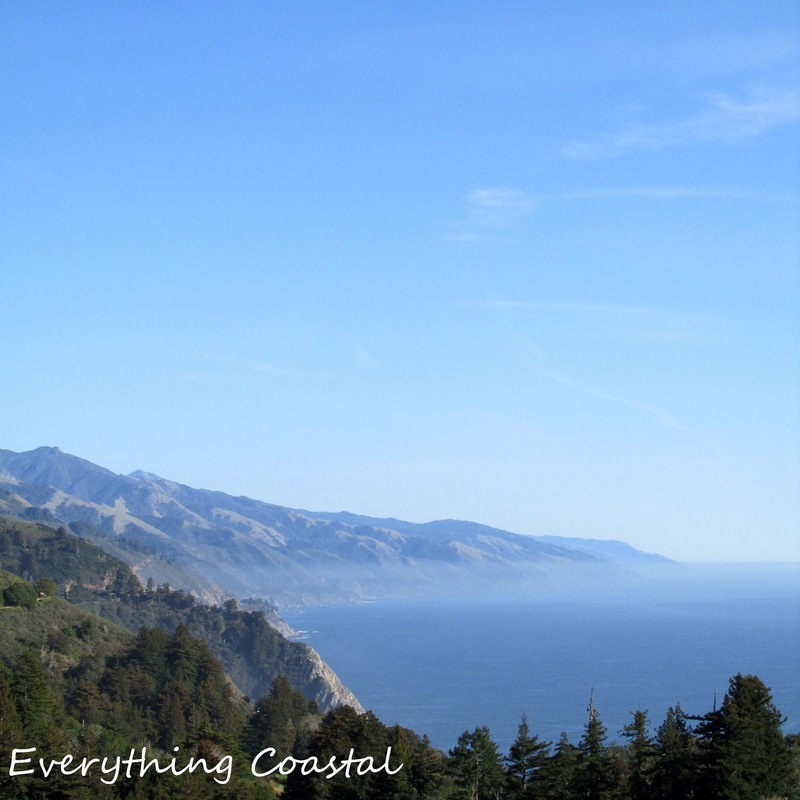 So when we finally arrived in Big Sur, we just wanted out of the car. Did not care where we stopped. Since it was my turn at the wheel, I decided to turn into the driveway of the first restaurant sign we saw. Oh mi... sometimes an simple bend in the road leads to a magical place... Nepenthe. Driving up into the clouds was worth it for this view above the sea. 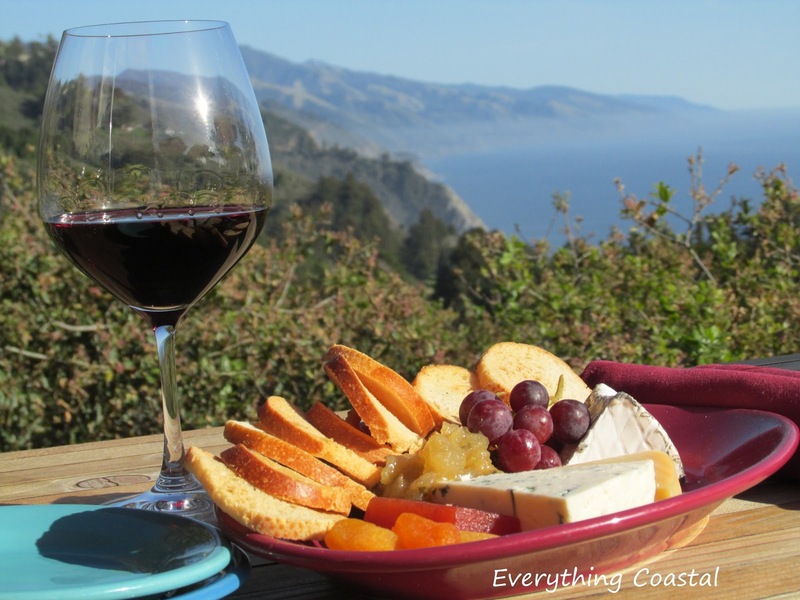 The California fruit and cheese platter with a glass of Central Coast Pinot Noir was not too bad either. We are headed back next weekend! Can't wait. P.S. 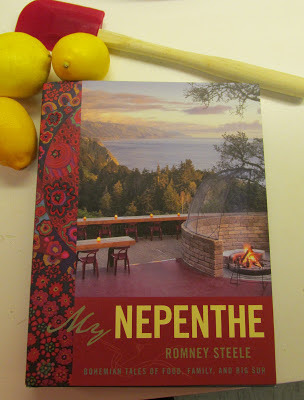 I could not resist buying their cookbook in their gift shop - a history of Nepenthe, sprinkled with some fabulous family recipes. My Nepenthe, by Romney Steele - can also be found online at Liberty Bay Books. What's in My Beach Bag? Surf Spray! Trend Alert: Design with Nautical Rope - Update!